Granada is without question one of the jewels of the Andalucía, a must visit for families, couples, and friends thanks to its beautiful setting, fantastic climate, and an incredible bevvy of historical locations. If you’re going to be picking up a car rental from Malaga in the near future, making the enjoyable hour plus drive to Granada is a must, as a wonderful day of culture and sightseeing will be waiting for you. From ancient palaces to stunning cathedrals, there’s so much to enjoy and marvel at. To help you plan ahead and decide just what you want to see upon arrival, we’ve put together this guide to the top historical locations to visit in Granada. We hope it inspires your next holiday to this marvellous city. 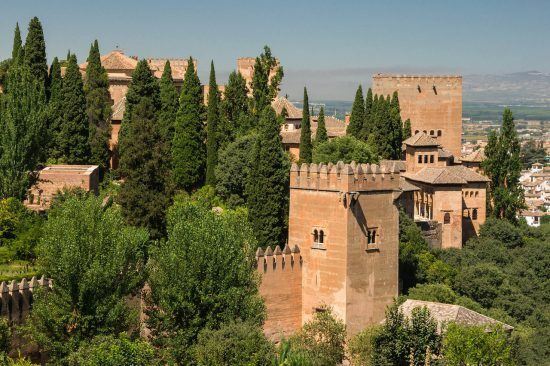 There’s no better place to start our guide than with The Alhambra: an ancient and incredibly well preserved Moorish palace. Standing atop its majestic hillside location, perfectly presented with the Sierra Nevada Mountains in the background, the Alhambra was originally constructed all the way back in AD 889 on top of old Roman fortifications. In the mid-13th century, Alhambra was rebuilt by the Emirate of Granada and ultimately converted into a royal place by the sultan in 1333. 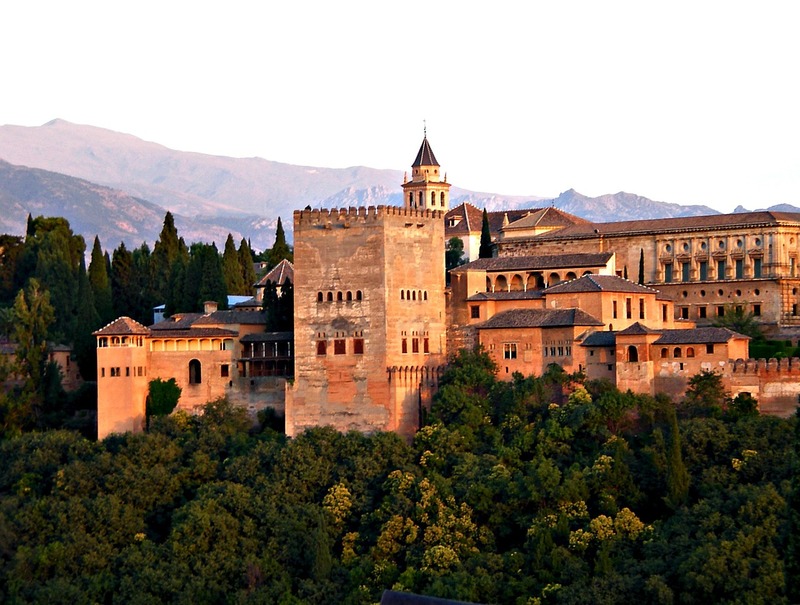 Moorish rulers used Alhambra as a residence for 250 years. Today, visitors can explore the glorious architecture and the immaculate Moorish gardens which are filled with patios, fountains, and plant life. There’s so much history to discover at The Alhambra, making this striking fortress an essential visit for anyone finding themselves in the city of Granada. One person in particular who has a strong fondness for the Alhambra is Silke Elzner from the travel blog Happiness and Things. Silke has great memories of visiting the site and champions it as the highlight of her visit to the entire region: “The Alhambra is probably the most remarkable historic location to visit in Andalusia. It is the last bastion of the Muslim rulers and thus an important puzzle piece in the story of the Reconquista [re-conquest]. What I love about it is the fact that the Muslims rather handed over the keys of the Alhambra than see it destroyed in a lengthy siege by the Christian troops. This leaves us today with one of the best preserved historic sites in Spain. For more information and details on tickets, make sure to visit our blog post. 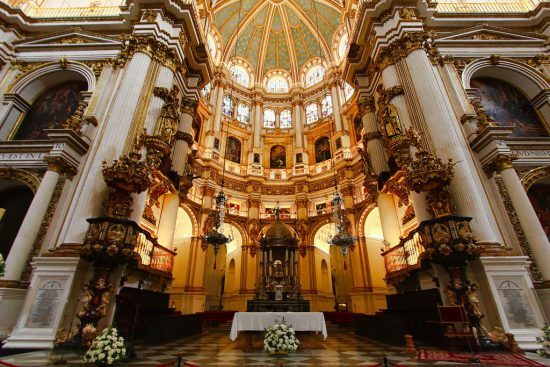 One of Granada’s most important historical locations and arguably its most breath-taking is Granada Cathedral. 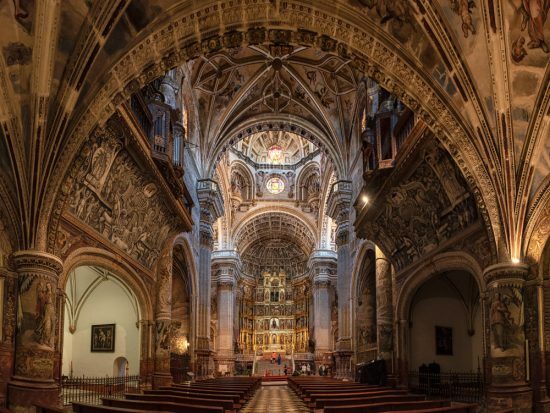 This is the first Renaissance church built in Spain, with work having been completed back in 1561. The Roman Catholic cathedral is the seat of the Archdiocese of Granada and was built by Queen Isabella after the conquest of the city. This masterpiece of Spanish Renaissance architecture boasts beautiful facades and an interior to match. The inside of the cathedral is truly breath-taking, with particular attention being brought to its grand altar and chapels. The fourth largest Cathedral in the world, it was actually laid on the site of an ancient mosque. The switch up from the traditional Gothic style of the time to the Renaissance approach makes the cathedral truly unique. Visitors can explore its paradisiacal interiors (including heavenly paintings and sculptures) for themselves between 10am and 6.30pm from Monday to Saturday and between 3pm and 5.45pm on Sundays. One of the most interesting historical locations in all of Granada is actually a part of Granada Cathedral itself, although having a separate entrance. The Royal Chapel of Granada is of such intrigue and magnificence that giving it its own spot on this list is essential. 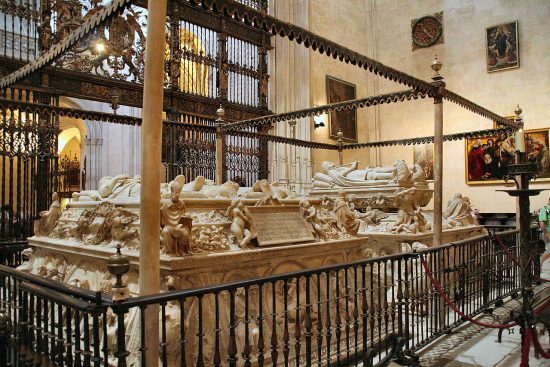 The burial place of Catholic monarchs Queen Isabella I and King Ferdinand, the chapel is located between the cathedral and old fish market, having been constructed by the monarchy between 1505 and 1517. The burial monuments to the kings inside the chapel are exquisite in their own right, being made from marble by the Italian Domenico Fancelli and by Bartholomew Ordonez. The 16th-century stained-glass windows are exquisite, to say the least, and one of the true highlights to be mentioned is what is known as the Sacristy-Museum – a collection of artwork that includes such famed-works as Botticelli’s ‘Agony in the Garden’. Built in the 11th century, The Bañuelo is a National Monument and one of the oldest Arab public baths anywhere in Spain. The tradition of Arab Baths was brought over from the Moors’ North Africa homeland to Andalucía and the Bañuelo that exists in Granada today is incredibly well preserved. This bath complex was one of very few that was lucky enough not to be destroyed during the re-conquest of Granada by the Catholic monarchs (the baths had a reputation of being somewhat like brothels), and, as a result, are one of the city’s oldest surviving Moorish sites. 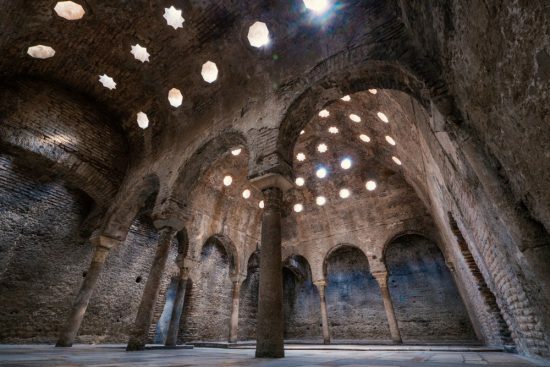 The Bañuelo was restored in 1918 and today visitors can access this thousand-year-old historical site via a small house, giving you a chance to see its cavernous brick vaults and impressive star-shaped skylights. There’s little question that the Bañuelo should be on your Granada to-do list. We would be remised if we left out the San Jeronimo Monastery as it truly has to be seen to be believed. This Roman Catholic monastery is known around the world for its jaw-dropping Renaissance-style architecture and has the unique designation of being the first church in the world consecrated to the Immaculate Conception of Mary. San Jeronimo Monastery was founded during the siege of Granada during the re-conquest with construction beginning in 1504. The monastery is of the Augustinian Hieronymite order and its sacristy is one of the best examples one could ever hope to see of Spanish Baroque. The room and its ornamentation are truly dazzling and its richly decorated interiors standout in a city known for exquisite Catholic architecture. The monastery features two cloisters, the second of which was the residence of a Portuguese Empress after her marriage to the Holy Roman Emperor Charles V. Visiting hours are available five days a week with guided tours are also on offer.